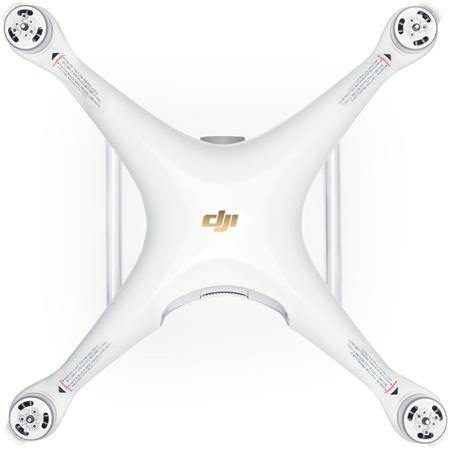 The DJI Phantom 4 Pro was initially released in March 2016 and has since taken the unmanned aerial vehicle (UAV) world by storm. The Phantom set the standard for drone manufacturers and is used by construction crews, photographers, videographers, news crews, engineers, law enforcement, search and rescue teams, and many others. Its iconic white body is one of the best-known designs amongst UAV enthusiasts. 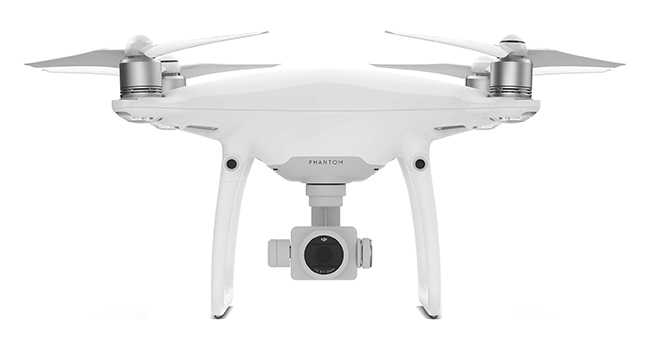 DJI is known for outdoing themselves, and they have released a new version of the Phantom, the DJI Phantom 4 Pro v2.0 that began shipping in May 2018. The new Phantom 2.0 features additional Flight Autonomy with 5-direction obstacle sensing and four-direction obstacle avoidance. The updated version has an integrated 6-camera navigation system to help it avoid obstacles in its flight path. It can reach speeds of up to 31 mph and is the first DJI drone to feature an infrared sensing system. The most noticeable of these improvements is the new 9455S propellers and the decreased noise. The 2.0 is much quieter than previous Phantoms, and also has increased stability. This reduces the noise by up to 60% compared to the previous model. The new propellers have a curved wing tip that makes a noticeable difference in noise compared to the older props. However, the old style Phantom 4 props will still fit on the 2.0. Another improvement was the upgrades made to the drone’s obstacle avoidance system. With the V2.0 the obstacle avoidance system utilizes infrared sensors. And this is the first drone manufactured by DJI to do so. This has allowed them to extend the detection range of the system from 10m to 30m. The battery on the Phantom 4 is a 5870 mAh (High Capacity) 15.2 V Lithium Polymer (LiPo). It allows for up to 30 minutes of flight time and recharges in approximately one hour and 10 minutes. This is in the top tier when compared with other similar UAVs currently on the market. The Phantom batteries are easily switched out, allowing you to carry multiple batteries for extended flight with minimal downtime. The extra batteries do come at a high cost though, with a new one running around $169. The uncontested best feature of the Phantom is its camera. The combination of the one-inch, 20-megapixel CMOS sensor, and the OcuSync HD Video Transmission system make this the single best drone for aerial photography on the market. The camera is designed with an aerial optimized, eight-element, f/2.8 high-resolution wide angle lens with a 24mm equivalent focal length. The lens and camera quality of the Phantom is better than some DSLRs used by photographers. The 2.0 added a mechanical shutter which eliminates the rolling shutter distortion that can occur with an electronic shutter system. It is known that the resolution and contrast of a lens are critical to image quality. Only a high-quality lens can capture sharp, vivid photos at high resolutions. The new lens features eight elements – two aspherical – arranged in seven groups that fit into a smaller, more compact frame. The result is images that are consistently detailed with low distortion and low dispersion. This helps ensure that photos and videos are sharp and vivid. The enhanced video processing system allows video to be captured in DCI 4K/60 (4096 x 2160/60fps) at a bitrate of 100Mbps. Also, the Phantom 4 supports the H.265 video codec. The advantage of H.265 is that it doubles the amount of image processing as H.264, resulting in significantly enhanced image quality. All of this helps you see what is going on better, and allows you to better compose your photos. The camera’s larger sensor captures more information in every pixel, which improves dynamic range, signal-to-noise ratio, and low light performance. The one-inch 20-megapixel CMOS sensor has a maximum ISO range of 12800 and increased contrast. This provides images that are good enough for immediate use, while also capturing necessary information for advanced post-processing. Probably the most limiting factor in choosing the Phantom over other UAV’s is its price. At the time of this article being written, the Phantom 2.0 is listed at $1,408 on Amazon. While very few will argue that the Phantom 2.0 doesn’t deliver value and quality at that price, it is still a large sum of money. This is one of the main reasons that most Phantom users are either professional photographers/cinematographers or businesses. If you are looking to purchase a Phantom, you will quickly learn the UAV itself is pretty close to the same price everywhere. The difference will be in what comes in the “bundle” that it’s sold with. Everything from extra batteries, chargers, backpacks, carrying cases, and much more could be included. Just make sure you break it down and see the actual value of all the equipment included before you purchase. Previous Post« Previous Is the Canon 6D Still Worth Buying?